The Abacos and their amazing arc of cays are a must on a sailor’s wishlist of Bahamas sailing vacations. 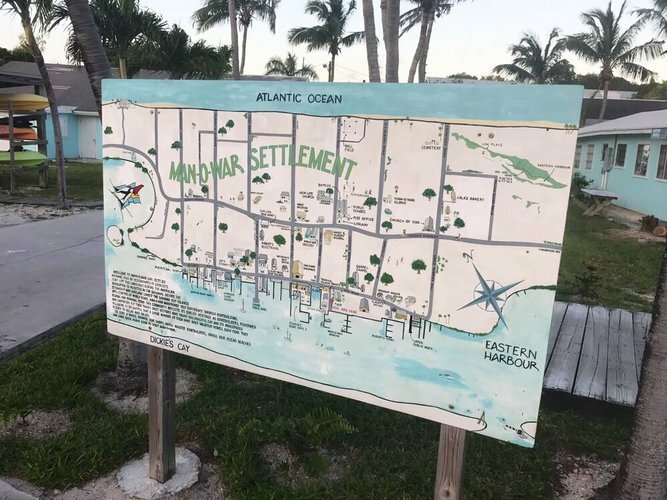 Easily accessible by plane to Marsh Harbour or Treasure Cay, these striking islands are ideal for a week-long yachting adventure or daily trips on one of Sailo’s Abaco, Bahamas boat rentals or catamaran charters. 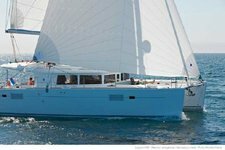 Set sail on your weekly yacht charter from Marsh Harbour to Man-O-War, then down to Elbow Cay and back to base. Read on to get inspired and start planning your next sailing trip in the Bahamas! 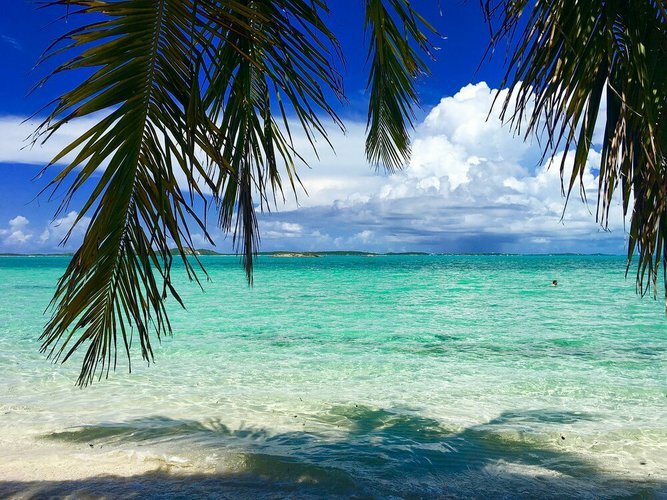 The aquamarine shallow waters of the Sea of Abaco offer both experienced and novice skippers the chance to experience mostly a smooth sail hopping cay to cay. 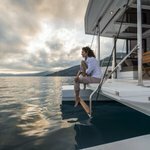 There are plenty of protected, quiet anchorages you can use to spend the night. 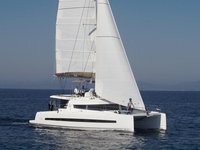 A seven days itinerary from Marsh Harbor is the perfect mix of natural attractions like long white beaches, stunning reefs, a bountiful marine life, and charming little historic towns with a unique culture and delicious cuisine. Check here one of our favorite weeklong itineraries in the Great Abaco, Bahamas! The northernmost Abacos cay is home to the picturesque New Plymouth, the second largest city in the Bahamas, settled late XVII century. 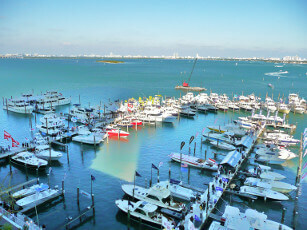 Dock your Abaco yacht charter at one of the full-service marinas or drop anchor in Cocoa Bay or White Sound. Stroll the narrow streets to admire the white-picket fenced brightly colored clapboard houses. Tasting the local dishes and the Goombay Smash (the national drink) should be part of your adventure on a daily trip on one of Sailo’s Abaco catamaran charters and the restaurants on Green Turtle are just perfect to do that! 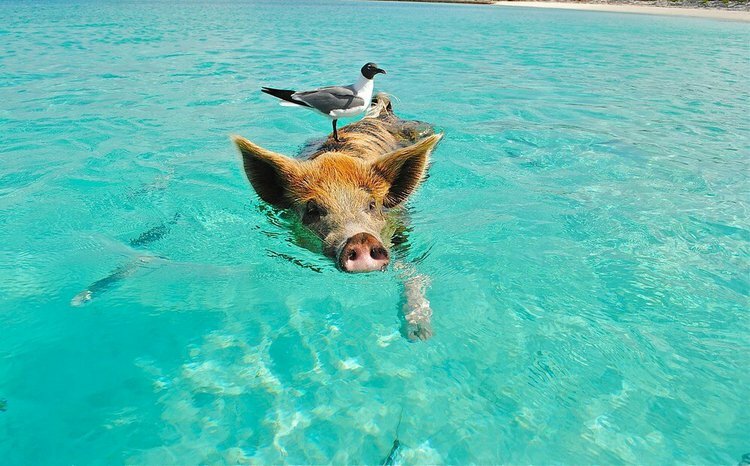 For a unique experience, sail south of Green Turtle Cay to the No Name Cay, a small uninhabited island famous for being the kingdom of the swimming pigs. Carefully navigate the shallow waters and anchor offshore to enjoy the company of these cute (do not forget they are still wild!) animals. They depend on humans to feed them so you may offer them some carrots, apples or bananas. Keep the camera close - it’s not every day you can swim with the pigs just off one of Sailo’s Abaco, Bahamas boat rentals on a daily trip. One of the most famous cays of the Abacos is Man-O-War (MOW) with a long tradition in boat building dating back in 1880s. Enjoy the Insta-perfect white sand beaches, hop off on land to stroll the streets and visit the local craft shops. Next stop on your trip on one of our Abaco catamaran charters is Great Guyana - a scenic island with long powder-like white sand beaches. Hop on an Abaco yacht charter for a day, drop anchor at Bakers Bay, go for a swim, relax or take a trip to the famous Nippers - the hottest bar and party place in the Abacos. 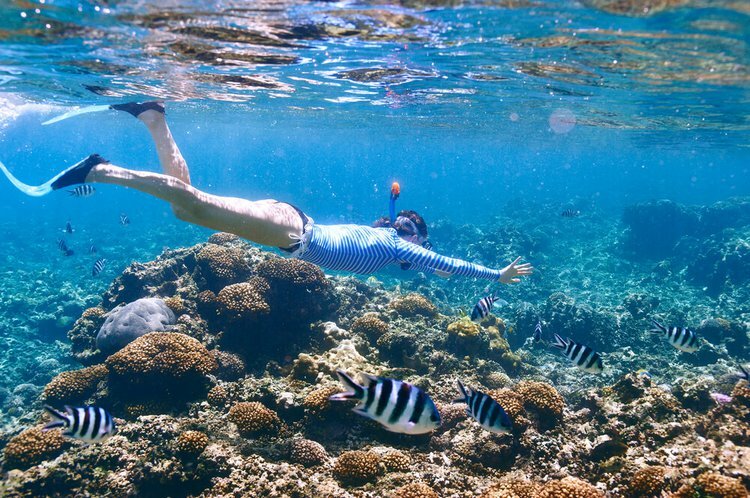 You’re sailing one of the world’s tropical yachting paradises and diving grounds, so make sure you have your snorkeling gear at hand! Drop anchor on your Abaco yacht charter off the stunning Tahiti beach and explore the wrecks (guided tour recommended), the colorful corals and plenty fish such as blue-headed wrasse, rainbow and blue parrotfish, and yellowtail snapper.